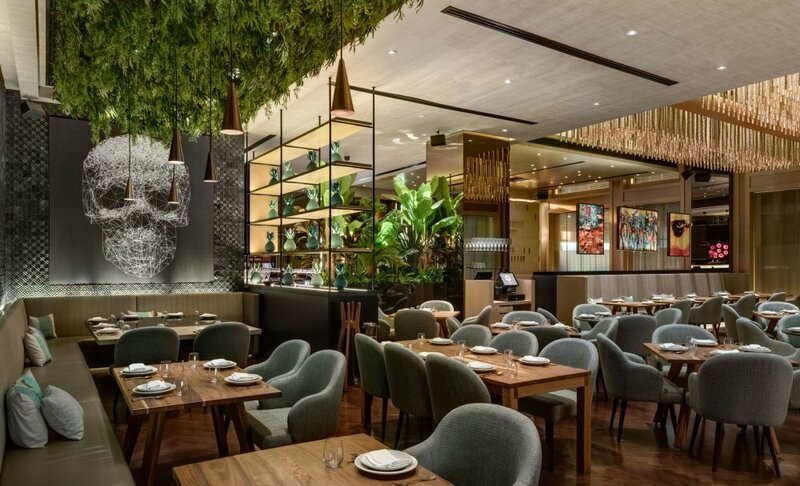 The international restaurant Peyote opens the doors of its new culinary space in the Dubai International Financial Center (Dubai DIFC), an interior design project created by Sordo Madaleno Arquitectos that bases its principal concept on introducing contemporary Mexican culture to this prominent global location in an authentic manner. Peyote Dubai occupies two floors with a total area of 615 sqm. 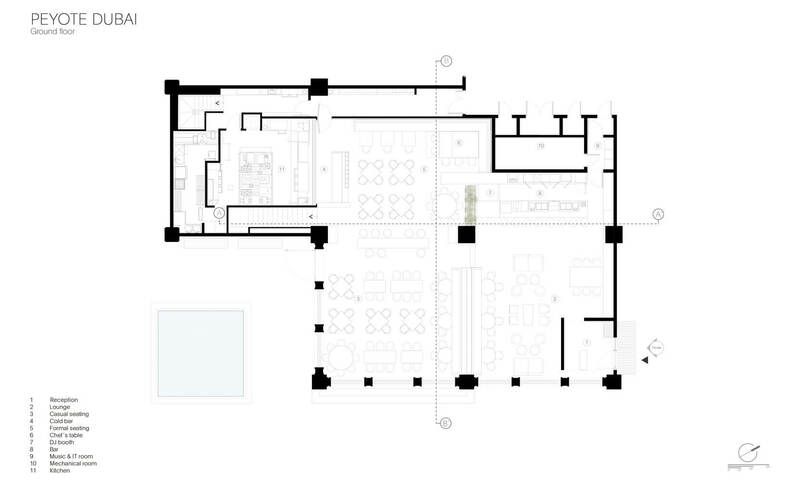 The principal restaurant space is distributed across the ground floor, while the service areas are found in the basement. 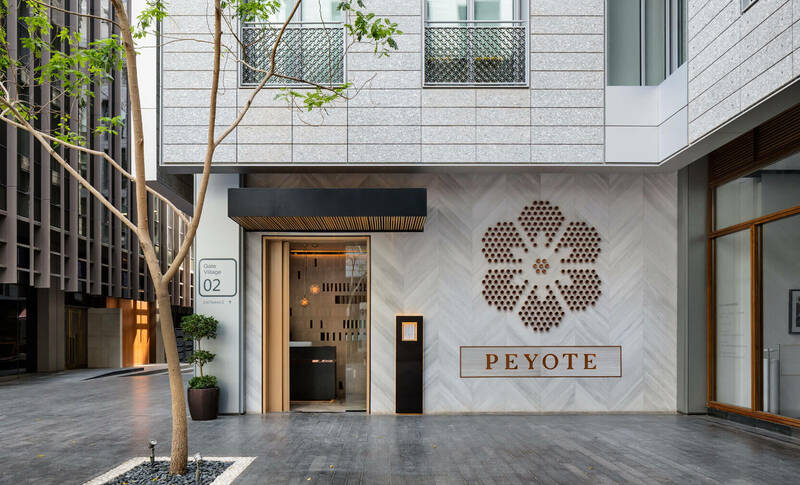 We have designed a contemporary and vibrant project for the Peyote brand, covering 328 sqm of interior space together with the façade design. The three principal interconnecting rooms are the Lounge-Bar, Informal Dining Room and Formal Dining Room. Each zone is endowed with a distinctive atmosphere. 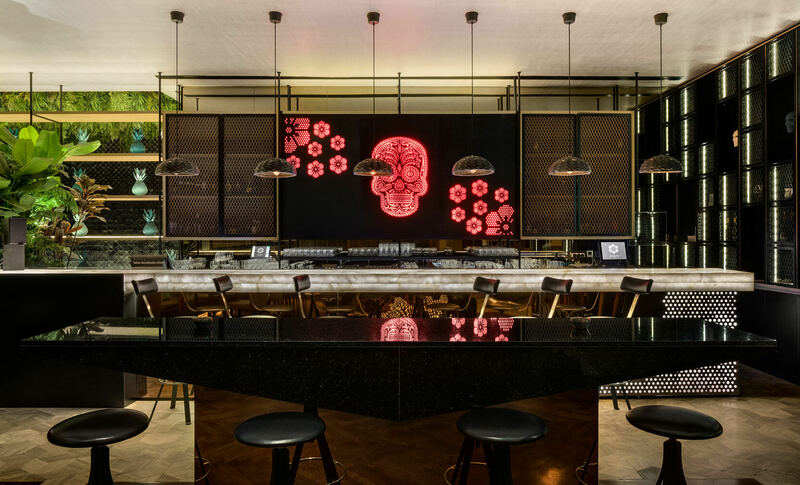 The sequential distribution begins with the Lounge-Bar to the front, followed by the Informal Dining Room and finally the Formal Dining Room to the rear, with the “Chef’s Table” found in the most private section of the restaurant. 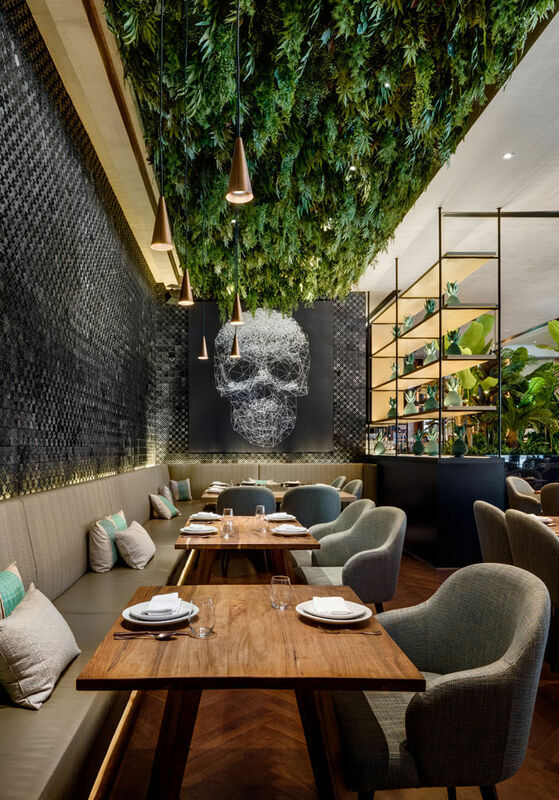 Both the interior design and every detail of the decoration allude to the essence of Mexico, expressed through contemporary reinterpretations of the distinctive artisan techniques found throughout the country, with the presence of black clay pottery, copper, handmade textiles, and more. To ensure the authenticity of the Mexican crafts, the furniture, textiles, lighting and other decorative elements were imported from their places of origin. 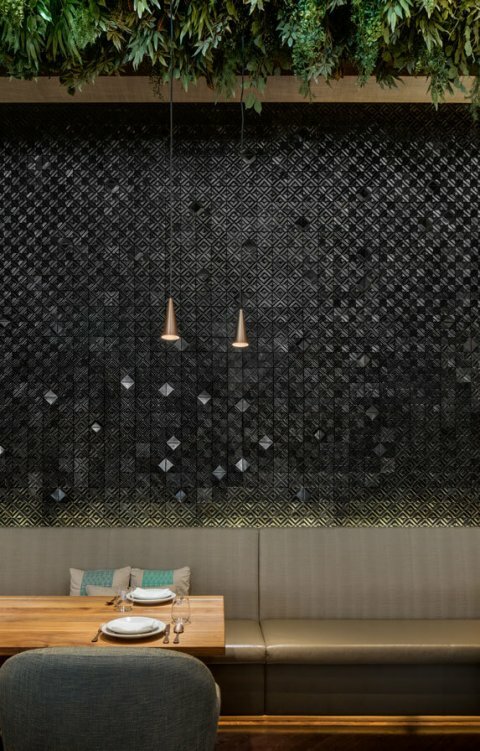 In the Informal Dining Room, the outstanding elements include a ceiling formed from mecate ropes, and a wall made from black clay tiles produced in Oaxaca. 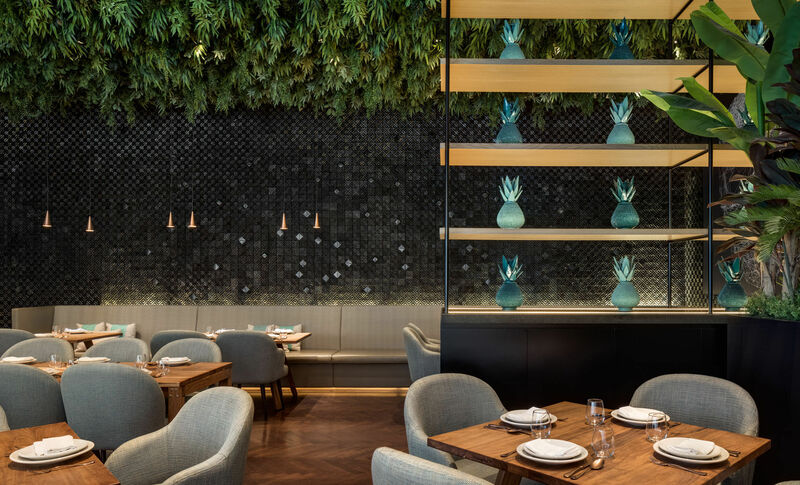 Outside, the façade of Peyote expresses a synthesis of the contemporary character of our era with the culinary concept and Mexican elements inside, established by the artwork made from copper. 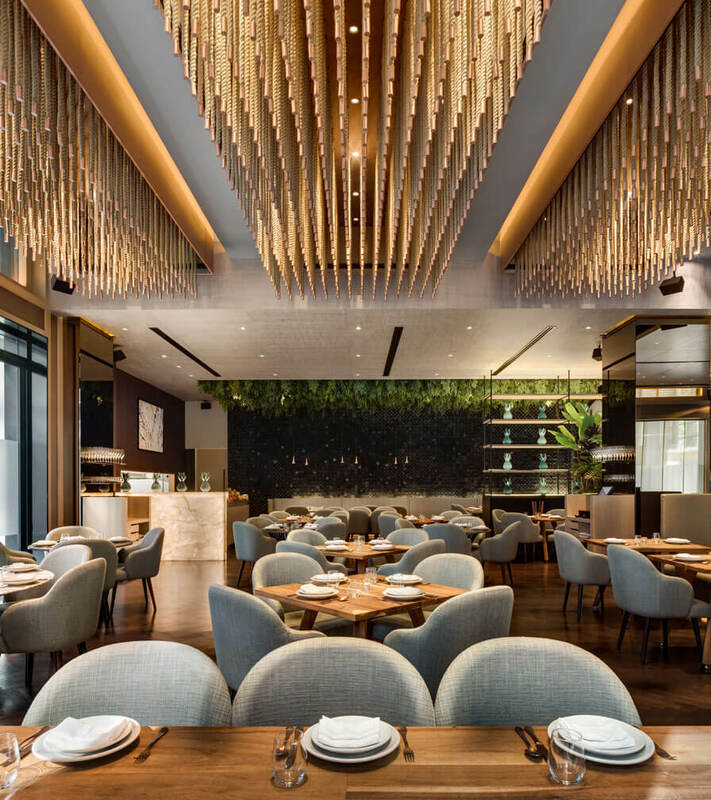 In terms of the restaurant services, the kitchen is located to the rear, and contains all the infrastructure it needs to attend to the restaurant’s requirements. The customer washrooms are in the basement, together with a number of additional kitchen services. A sober and neutral palette of materials was selected, combining with the abovementioned Mexican character accents. The contrast between the natural oak timber and the wall details with black clay elements and ironwork help to achieve a balanced atmosphere.